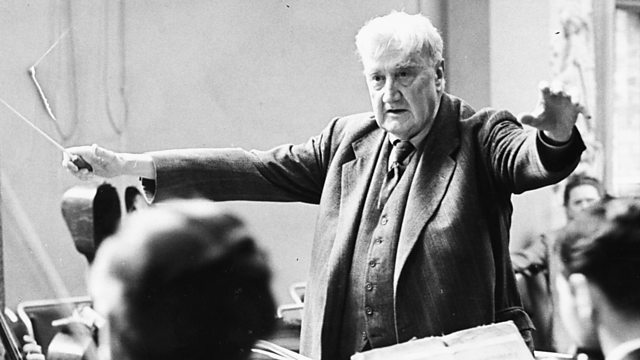 Donald Macleod explains how, at the age of 81, Vaughan Williams made a deep impression on a woman 40 years his junior, which eventually led to marriage. At the age of 81 a new and highly creative stage of the composer's career is about to begin. Donald Macleod follows the composer has he moves to a grand new house in London and makes a deep impression on a woman 40 years his junior (all thanks to a fetching green pork-pie hat) which will eventually lead to marriage. Choir: Clare College Cambridge Choir. Conductor: Timothy Brown. Performer: Marianne Thorsen. Performer: Ian Brown. Ensemble: Nash Ensemble. Singer: Gerald Finley. Conductor: Richard Hickox. Orchestra: Orchestra of the Royal Opera House, Covent Garden. Singer: Rebecca Evans. Singer: Susan Gritton. Singer: Pamela Helen Stephen. Singer: Mark Padmore. Ensemble: Halle. Conductor: Sir Mark Elder.